We are always curious as to how the higher societies live in this world. Those who have access to about everything– what is it that they choose to explore? Well, it’s hard not to think about it when you’re only dreaming about travel and vacations, like luxury experiences, exclusive travel options, and excellent food choices. It is now the time that we take a closer look at how the stars see the world and learn if it’s quite as posh as most of us tend to believe. With their private pools, whiskey and cigar bars, an extra level of service, and blissful spa experiences, the boutique, and deluxe hotels are often the only kind of accommodation that the stars know. However, they are not as gated off to your average visitor as you might believe. There are lots of ways to make luxury hotels more affordable. Even the biggest, most prestige brands offer deals from time to time, often found by signing up for their email subscriptions. What’s more, there’s a brief period where a new hotel will open with dramatically lower prices than usual. When they’re looking to drum up publicity and increase their reputation, they become a lot more affordable. Celebrities eat at the establishments of celebrity chefs, the three-star hotspots, and all the more exclusive dining spots in the world. If you want to get more gastronomically exploratory, then you may very well be able to. If you’re a frequent traveler, then it might be a good idea to find out the costs of the best travel credit cards. If their rates are affordable, then every time you use it, you can earn points specifically for travel experiences like fancy restaurants. However, this is only really recommended for those who don’t mind going outside their comfort zone. If you’re something of a picky eater, the luxury dining experience can sometimes be underwhelming. Those credit cards are going to be sizzling to the touch if you go on some of the shopping sprees available in the more luxury areas of the world’s fashion capitals. Paris, London, Milan, and Tokyo can be incredibly expensive to shop in, but they aren’t necessarily the best places to shop in. You might be able to find some of the same brands, or even more exclusive items, in places like Bali, Barcelona or Bangkok. Besides being retail hubs every bit as impressive as the so-called “fashion capitals,” there are some of the best places for budget shopping trips. You might not get access to every designer’s latest runway look, but you can still give that style one serious boost. So, we know what stars like to do when they’re out and about. Shopping, enjoying fantastic hotel service, and trying out some of the best food available. But how do they get where they want to go? For most people, travel by boat means getting stuffed on a crowded ferry or the occasional cruise. 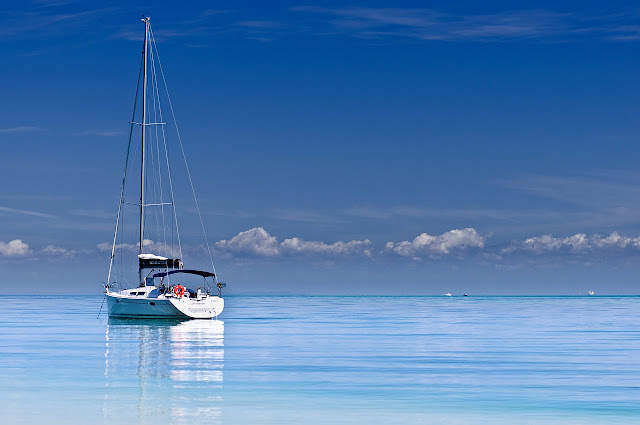 But having your yacht and a captain to sail it might seem beyond your wildest dreams. Not only do you control where you get to go, but you have your very own luxury party pad. But, nowadays, more people are renting yachts than buying them. It may still not be the cheapest option, but it is becoming at least more affordable to take to the seats in a boat of your own. What about flying? When it’s all about the vacation, the elite doesn’t spend a lot of time stuck in an airport like the rest of us. They use their private plane. You’re not going to be buying a private plane anytime soon, but can you rent one? How much does it cost to charter a private jet? Trips can quickly go into four or five figures, but depending on how big your group is, that may not be as expensive as you first imagined. Sometimes, chartered jets have “empty leg” trips, where they have a destination they have to get to, but no passengers. If you’re willing to be flexible and go whether the pilot’s headed, you could be paying a literal quarter of the usual fee. On the other hand, there is a tiny way of getting around the cost of having a chauffeur. Renting a limo or any different kind of event or party vehicle and splitting the value is one of the most effective ways to budget your own set of wheels and a pair of gloved hands to steer them. However, renting a private taxi service from the airport is much more affordable and a lot more practical at the end of the day. Avoid the hassle of having to find your way around after you touch down by booking your car in advance. Most airport taxi services offer a discount for those who use their drivers on the return trip. In most cases, the cars are significantly flashier than your average taxi, too. Luxury isn’t just about opulence anymore. It’s also about having experiences crafted directly to your wishes. It’s the information and organization of bespoke tour groups that the stars have access. They learn exactly where to go, get access to the best sights, and explore without any of the hassles. Most real travelers tend to enjoy the journey as much as the destination, so the nuisance isn’t always unwelcome. But for just a taste of the star travel experience, there are more affordable, less-flexible tour packages that can still help you get the very best of where you’re going. There’s no doubting that you have to be willing to pump up your budget some if you want to enjoy the full-breadth of travel experiences that the rich and famous get to enjoy. However, many of them are a lot more affordable than you might have thought initially. Keep an eye out for the right deals, and you could be traveling like a movie star before long.